Chinese probe says gene-editing scientist conducted experiments for ‘personal fame’, and Greenland’s ice is melting faster than experts predicted. Zimbabwe President Emmerson Mnangagwa has now joined the likes of US President Donald Trump, British PM Theresa May and French President Emmanuel Macron to give the World Economic Forum meeting in Davos, Switzerland, a miss. Mnangagwa, who was on a visit to Russia, Belarus, Azerbaijan and Kazakhstan to seek investment for his economic crisis-stricken country, returned without attending the WEF event as he wants to “get Zimbabwe calm, stable and working again”. 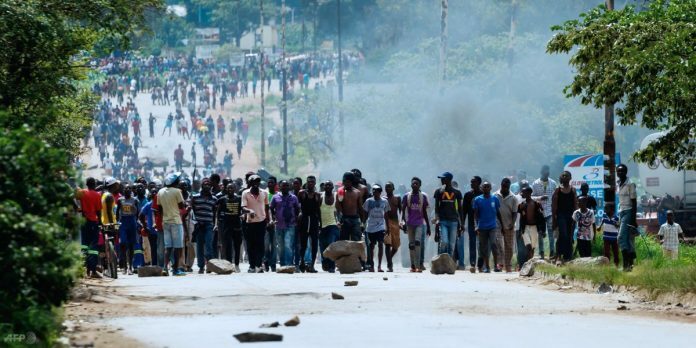 The country is facing violent protests after Mnangagwa’s move last week to hike fuel prices by 150 per cent led to killing of 12 people. Over 700 were arrested. Among other charges, the country’s police forces have been accused of looting citizens of their ration supplies. Following the protests, the government even ordered an internet blackout. Civil society groups, lead by the Crisis in Zimbabwe Coalition, have reportedly written to European Union, accusing Mnangagwa of “murder of unarmed civilians as a tool to retain power”. Mnangagwa tweeted Tuesday, saying “misconduct will be investigated”. Social media users took to Twitter with the hashtag #ShutdownZimbabwe to express solidarity with the people of the country. The people of Zimbabwe have proven to be incredible strong and resilient. And as kind as I’ve experienced them to be- everyone has their limits. The Zimbabwe High Court Tuesday ordered the government to restore internet access. Later, Mnangagwa issued a statement saying that the measures directed by him to stabilise fuel prices may not be “popular”, but “it was the right thing to do”. He also called for a national dialogue inviting all political, religious and civil leaders to come together. Chinese scientist He Jiankui, who astonished the world’s scientific community when he claimed to have gene-edited the embryos of twin baby girls born last year, has been fired by his university after a government investigation found him in violation of Chinese laws. The university has indicated that he may also face criminal charges. Shenzhen’s Southern University of Science and Technology terminated Jiankui’s employment contract and cancelled his teaching and research activities. The move came after an initial probe by the Chinese government, the university said in a statement Monday. Reports quoting the state-run Xinhua news agency said the probe confirmed the scientist’s claims of the gene-edited twin baby girls, and that a second woman became pregnant during the same experiment. It was also reported that Jiankui raised funds on his own and recruited his own team for this project in “pursuit of personal fame and benefit”. Jiankui had earlier claimed said that he had successfully created the world’s first babies with modified genes to resist HIV using gene-editing tool CRISPR. However, Jiankui did not produce any evidence to corroborate his work. His research hasn’t been published in any journal yet, even though he claimed that he had submitted his study to an unnamed scientific journal for review. The practice of consciously altering the genes of human embryos has been made illegal by a number of countries across the globe, including the US, but engaging in such activities in China is not considered against the law. A group of 122 Chinese scientists had issued a statement after Jiankui’s claims labeling his declaration “a huge blow to the global reputation and development of Chinese science”. Watch the second episode of Vox’s series on Netflix, Explained, which discusses designer DNA. Greenland’s ice sheet is melting at an unprecedented rate, suggesting that it may have reached a “tipping point”, scientists have concluded in a new study published Monday. The Arctic is warming at twice the rate as the rest of the planet, and the new study has added more evidence. The authors of the paper have found that the amount of ice loss in 2012 was quadruple the rate of ice loss in 2003, and that this continued to happen thereafter, barring a brief lull in 2013-14. Michael Bevis, lead author of the paper published in Proceedings of the National Academy of Sciences and professor at Ohio State University, told The Guardian: “We knew we had one big problem with increasing rates of ice discharge by some large outlet glaciers. “But now we recognise a second serious problem: Increasingly, large amounts of ice mass are going to leave as meltwater, as rivers that flow into the sea. The researchers for the study have used data from NASA’s gravity recovery and GPS navigating stations spread across Greenland to find the changes in ice mass. Reports said this paper was different from other researches done on Greenland, as its focus was on the Danish territory’s southwest, a region which does not have many glaciers. While reports suggest a gloomy scenario, social media users are using the viral #10YearChallenge meme format to point out the rising impact of global warming, calling for action. Previous articleWhat’s different about this year’s Davos?